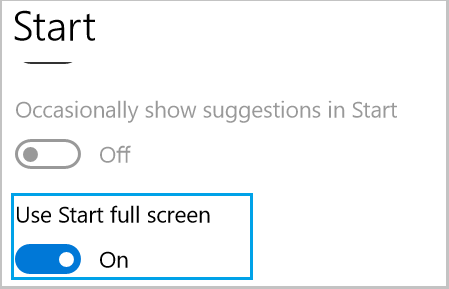 If you have windows-10 installed recently in your PC and not sure how to make start menu full screen, please follow below steps to configure and make start menu full screen. 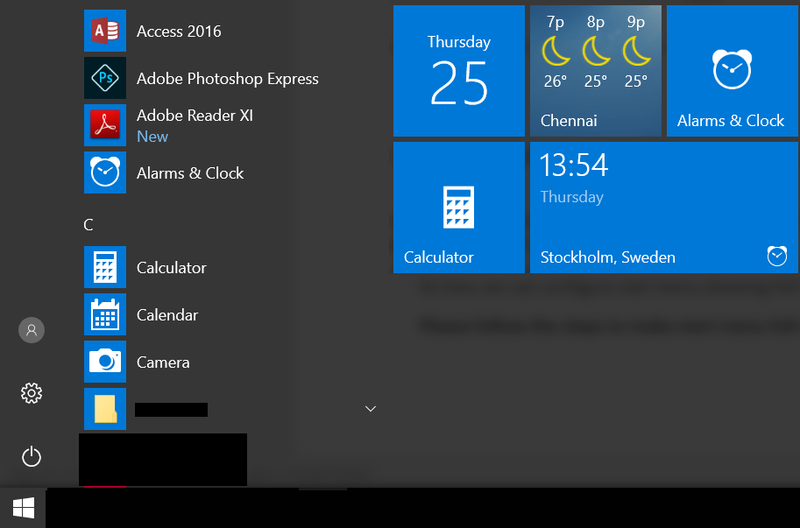 By default, start menu shows tiles in small window. 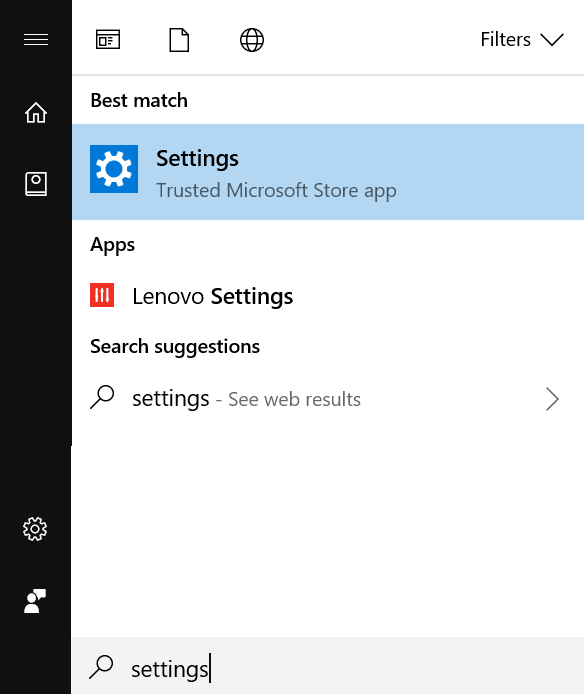 So, whenever you open any application you need to go to start menu and then need to select the app. Windows-10 comes with the feature that allows you to customize start menu and you can make it small window or full based on your choice. Hence, once you complete the setup and enable this full screen feature, then next time whenever you start desktop, start menu will show on full screen. 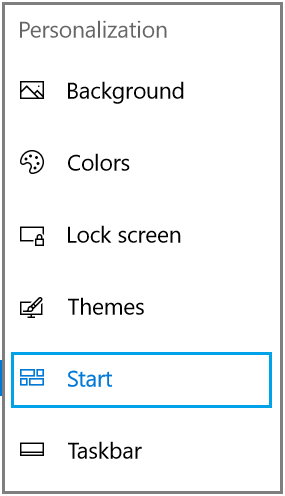 So how we can configure start menu showing full screen? Go to settings page. Click on start window and then click on settings. If you are unable to find settings option, you can search it as shown below. On settings page click on Personalization. Select Start option shown on left menu. Turn On the option Use Start full screen. 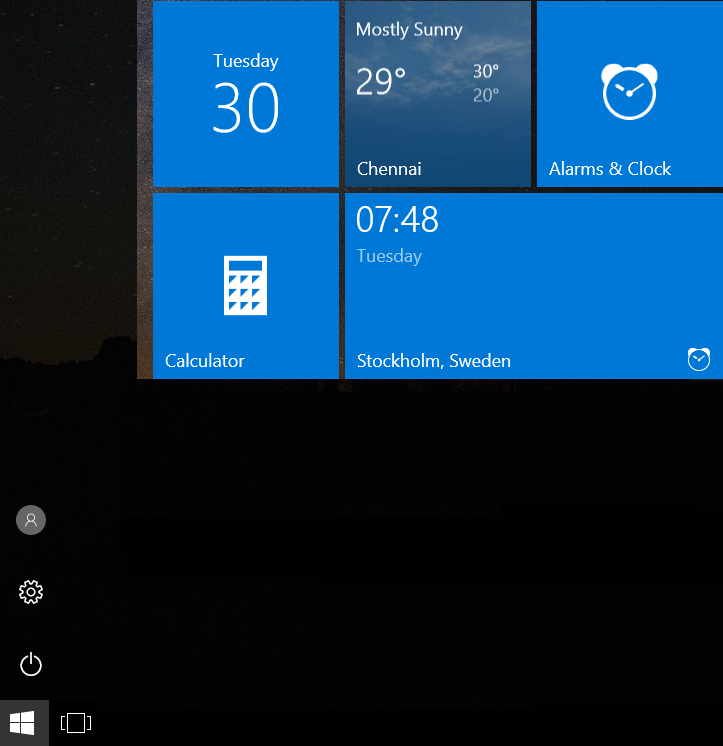 Once you turn the option Use Start full screen on, you will be able to view start menu shown on full screen. To view start menu full screen just click on start menu, that’s it.